We’ve compiled proven resources and guides that will help you through your franchise opportunity research phase. Selecting the right franchise or business opportunity is not an easy task. It’s one that’s full of complexity, comparisons and “what-ifs”. At Franchise Seekers, we understand the process you are going through and we are dedicated to helping you make the best decision possible. Educating yourself on the various aspects of buying a franchise is the place to start. Take a look at the resources mentioned on this page and please feel free to contact us with any questions you may have. Download your copy of “Buying A Franchise: A Consumer Guide” and learn the basics of how to shop for a franchise opportunity, the obligations of a franchise owner and questions to ask before you invest. If you are early in the franchise selection process, this guide is a “must read” resource. Even if you’ve been learning about franchises for a while, it’s a great collection of tips to review. Our comment on this resource: This guide shares our philosophy of making sure that you make the right choice. As the FTC says in this booklet: Before you invest in a particular franchise system, think about how much money you have to invest, your abilities and your goals. Be brutally honest. This very helpful article by Entrepreneur answers a lot of common questions that we get asked quite often when someone is thinking about buying a Franchise. 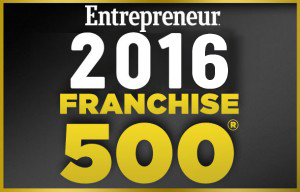 This famous ranking of the 500 top franchise opportunities is revealing. It takes into account the impact of the latest trends and the industries poised for growth. Be sure to have a look at the first, best and most comprehensive franchise ranking in the world. Our comment on this resource: This ranking is helpful as it gives indications of the startup costs for each of the opportunities. Speak to our experts today for opportunities that leverage the latest business trends. We suggest that you start your search by using these resources. Once you deepen your education and realize that it all comes down to making the right selection decisions, please be sure to consult with us. We’ll help you decide what franchise opportunities are suitable for you and help you narrow things down to the perfect choice. When you are ready to talk, please use the contact form to reach us.